The MPISI (Zulu name for the spotted hyena) material science neutron diffraction instrument is located at the SAFARI-1 research reactor of the South African Nuclear Energy Corporation (Necsa) SOC Limited. It is optimized for non-destructive depth-resolved studies of internal strain in bulk structures originating from manufacturing processes and in-service loads. 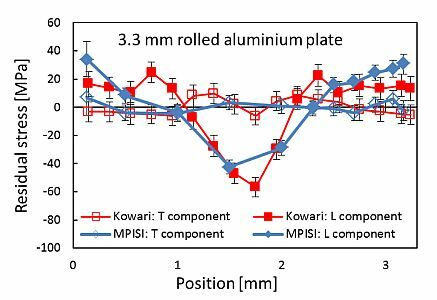 By exploiting the superior penetrating capabilities of neutrons MPISI provides a valuable analysis technique for cutting-edge research in materials engineering and related scientific disciplines. 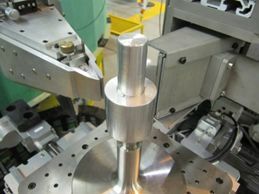 The instrument configuration also allows for the investigation of crystallographic texture in engineered processed materials and natural geological samples. MPISI is designed to be on equal standing with similar instruments at leading international facilities. 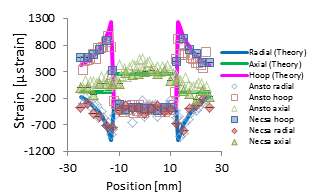 State-of-the-art data acquisition, control and analyses systems enable measurement of complex multi-dimensional strain maps of samples whilst optimising neutron beam utilisation. 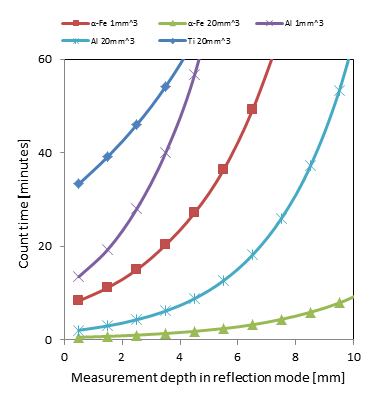 By employing micro-stepping, in conjunction with surface scans, samples can be positioned to within 10 µm accuracy. 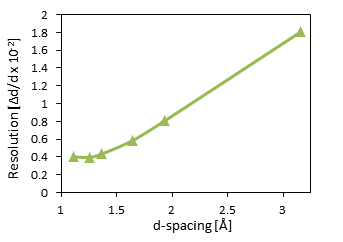 The graphs below give an indication of data acquisition times required for the materials alpha-iron (mild steel), aluminium and titanium to attain strain accuracies of 50 microstrain at gauge volume sizes as indicated in the graph legend. MPISI is accessible by the scientific community for academic and commercial project proposals. ISO/TC 135/SC 5/WG 7: Modernisation of ISO/TS 21432 “Non-destructive testing – Standard test method for determining residual stresses by neutron diffraction”, for review as International Standard in 2016. Participation member of project team.